Many attractions nearby including relaxing parks, Houston Gardens. Would definitely recommend staying here and will if I return to Houston. This hotel was a real joy to stay at for my one night stopover in Houston. We had a short stay in Houston for business and for our last night we wanted to be close to the airport. Overall, I had a great experience here despite my brief stay, but if I ever visit Houston again and need a place to rest, I will for sure return to this location! Top hotels in Houston. Opens in a new window. An attractive well managed property in a readily accusable downtown location. Great location and great restaurants all around! Beautiful lobby! Where to find Houston hotels near an airport? How can I find hotels in different Houston neighborhoods? Where can I find hotels in Houston that are near tourist attractions? When the time comes to plan your Texas Gulf Coast vacation, you'll find no end of quality stay options in Houston. Expedia lists 90 hotel options within a 0.1-kilometre (0.1-mile) radius of Houston's downtown. Travelers hoping to find accommodations not far from the center of Houston, should check out the latest deals at the Four Seasons Hotel Houston and The Lancaster Hotel. Aldine is an area that offers 7 Expedia-listed accommodation options, which makes it the part of town with the greatest selection of Houston accommodation options. Aldine accommodation options include the Homewood Suites By Hilton Houston Intercontinental Airport and Park Inn by Radisson Houston North & Conference Center. Another option is to find somewhere to base yourself in Kingwood, which is where you'll find the Homewood Suites Houston/Kingwood Parc-Airport Area and Holiday Inn Express Hotel & Suites Houston-Kingwood, or Willowbrook, which has the Residence Inn by Marriott Houston Willowbrook and Homewood Suites by Hilton Houston - Willowbrook Mall. The Hotel Sorella City Centre and The Westin Houston, Memorial City are in Memorial, while the Homewood Suites by Hilton Houston - Willowbrook Mall and Hilton Garden Inn Houston Nw are part of the Deco area. But of course, a trip to Houston wouldn't be complete without a trip to the Johnson Space Center - NASA. 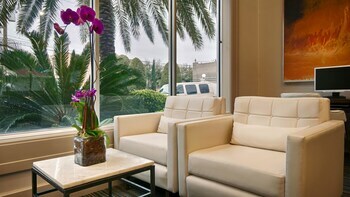 The Staybridge Suites Houston-Nasa/Clear Lake and SpringHill Suites by Marriott Houston NASA/Webster are nearby. Stay close to the Houston Zoo by arranging accommodation at the Hotel ZaZa Houston or, alternatively, the Houston Marriott Medical Center. If you would rather make a base near to The Galleria, you should check out The St. Regis Houston or the Hotel Granduca Houston. Downtown Aquarium, another Houston attraction, is walking distance from the Hotel ICON Autograph Collection and The Westin Houston Downtown. 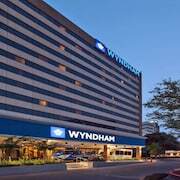 Accommodations that are close to Memorial Park include The Houstonian Hotel, Club & Spa and The Westin Oaks Houston at the Galleria. 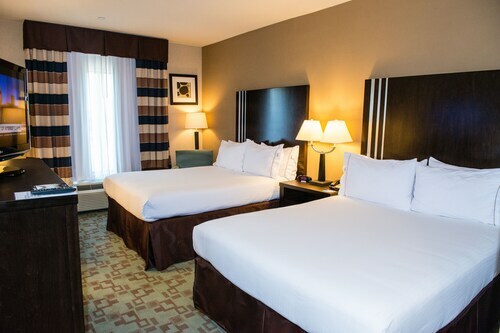 The Embassy Suites Houston Downtown and Hyatt Regency Houston are conveniently close to House of Blues Houston, and the Magnolia Hotel Houston and Residence Inn Houston Downtown / Convention Center are near Discovery Green. 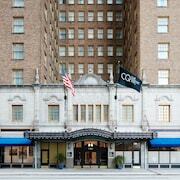 If you choose to stay near the Houston Public Library, choose from accommodation options including the Robin's Nest Bed and Breakfast Inn and The Sam Houston, Curio Collection by Hilton. 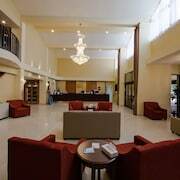 Hotels that are near the South Texas College of Law, include the Best Western Plus Downtown Inn & Suites and Hilton Americas - Houston. 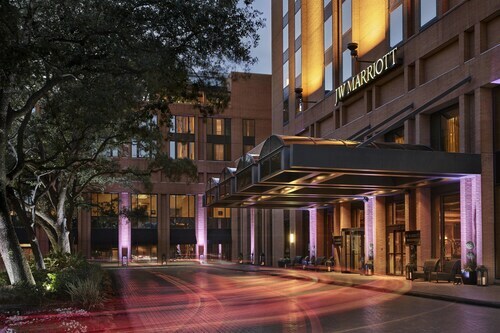 If you are traveling into or out of George Bush Intercontinental Airport and are looking to stay nearby, try Houston Marriott Airport at George Bush Intercontinental or Sheraton North Houston at George Bush Intercontinental. Are there hotels in other cities near Houston? 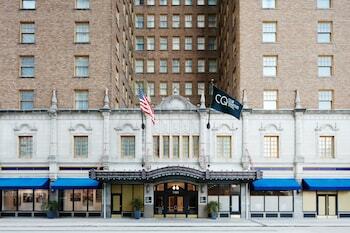 What other types of accommodations are available in Houston? Explore Houston with Expedia.ca’s Travel Guides to find the best flights, cars, holiday packages and more!